We are a church plant of Pacific Crossroads Church in Los Angeles. 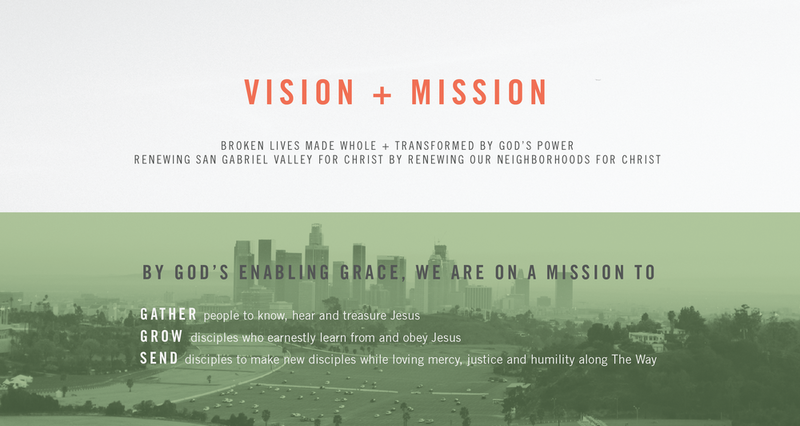 The vision of Pacific Crossroads is to plant many local churches, or parishes, across LA county. We think that a local church is better than one that is far away because God came near us in Jesus. We want to bring the good news of Jesus up-close to our neighbors and community through sacrificial service, generosity, mercy, relationship and vocation. All are welcome to our community, but we envision that God will grow our church through people who are newly-found in Christ; a focus away from re-shuffling existing communities of belief, toward the expansion of His Kingdom.